Why do you need help planning a funeral? What are logistical benefits of making pre-arrangements? We’ve even introduced you to our pre-planning guide to help you keep all of your details and personal information organized. In this post, we’re going to cover a benefit that can be hugely important to families when dealing with the loss of a loved one - finances. It’s well known that funerals can be expensive. In addition to having to make large purchases within a very short span of time, families are often also still dealing with medical bills and other accrued expenses surrounding their loved ones end of life care. Adding on an expensive funeral out of a desire to honor your loved ones life can often leave a family feeling financial burdens for years to come. What kind of casket or urn? Pay for all major expenses up front. The largest priced items of a burial/cremation and a casket/urn are taken care of. The price of these large items is ‘locked in’ meaning your family won’t be surprised later by a sudden remaining balance to take of. When the time comes, your family will not have a large expense or debt looming over them, allowing time to mourn and grieve without the additional financial burden. Pay a percentage down and pay out the rest of the major expenses over 3,5, or 7 years. Don’t have to come up with a large payment all at once. Fixed pricing on your choices (except for cash advance items) that won’t increase regardless of how long you choose to take to pay out the balance. 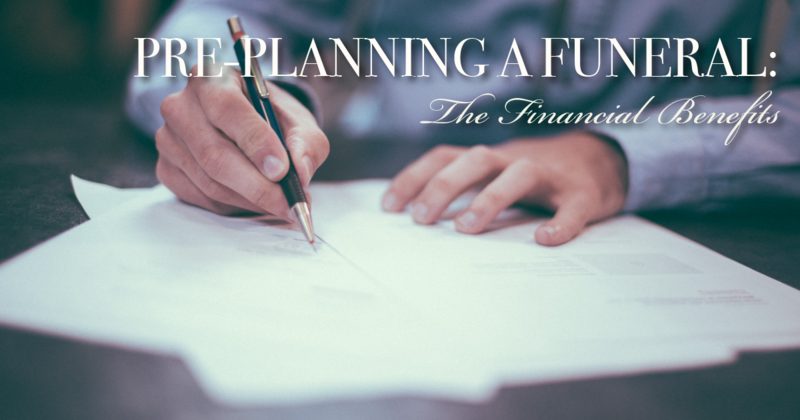 Your family will only be responsible for your remaining balance rather than having to take on the full financial burden of an un-financed, un-planned funeral. You and your family get peace of mind that you’ve made helpful decisions and are actively working toward funding those and simultaneously reducing the financial burden on surviving family members. Payout your major expenses (and an added insurance premium) over the course of 10 years. If you (or the family member insured) should pass away before the end of 10 years, the insurance company will take care of the remaining balance for the family. You and your family experience the satisfaction of knowing that you’re covered and taken care of, despite what happens in the future. Items or service that come from a third party vendor or business. Cash advance items are parts of the memorial like flowers, musicians, honorariums for ministers, and the like. These goods and services come from outside of Lake Ridge Chapel and so we cannot “lock in” their prices. However, you can get a headstart toward these expenses by putting aside a cash reserve and creating an ideal budget for each of the items to be used and delegated at the time of need. And so, although you cannot lock in prices on these items, you can take a major step forward in directing how much and where you’d like your money to go. It doesn’t take a funeral or major life crisis to teach us that matters concerning money are stressful. However, the emotional burden and often suddenness of death compounds the stresses of money and can leave families operating on razor-thin ledges of emotional and financial health. In addition to the stress of your family, many people, as they approach their end of life, worry less about themselves and more about how their family will handle their passing. Making funeral arrangements, including these financial components, is then a way to EASE the stresses that come with complicated health and end of life circumstances. If you’d like to talk to one of our specialists to ask questions or begin planning, you can stop by our building at 6025 82nd St, Lubbock, TX 79424, call us at (806) 698-8085, or leave us a message and we will get back to you quickly.